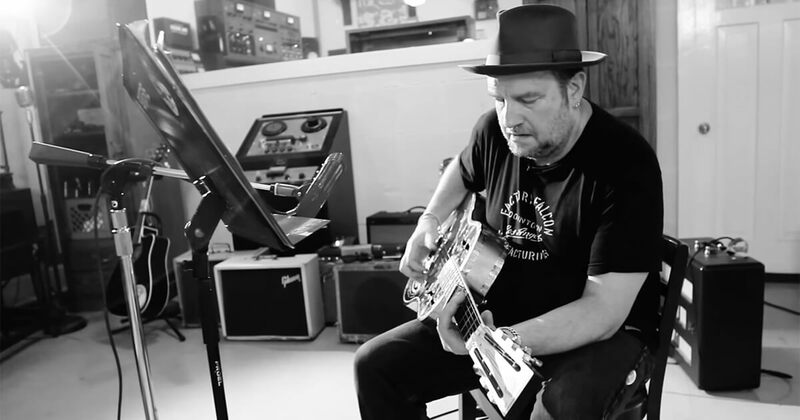 The “best unknown guitarist” – coined by the likes of Brian Setzer and others in the americana, roots and blues community. That’s after listening to Mike Eldred and his trio – a roots “super band” consisting of himself, John Bazz and Brian Fahey from The Paladins. The trio’s fourth album, Baptist Town, is a storytelling journey through the Mississippi neighbourhood bearing its namesake, where legendary bluesman Robert Johnson was allegedly murdered. Formerly Director of Sales & Marketing for Fender Custom Shop, Mike’s certainly no stranger to the finer details of guitars too. 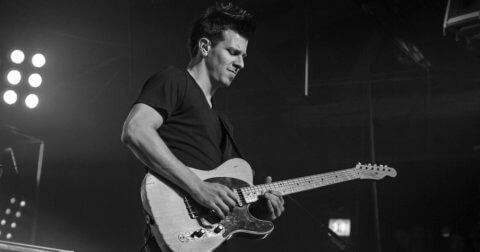 We caught up with Mike and talked guitars, his influences, Baptist Town, and what it’s like recording in the legendary Sun Studio. Mike, describe your dream guitar… no limits. Ugh. I do a LOT of different things musically, so it’s a tough question to answer! Blues, soundtracks, acoustic, songwriting, etc. There is always an effort to find an instrument that sounds unique. That’s really why I have been using these Harmony Espanadas for the past 6 or 7 years. They don’t sound like anything else, and they really fit well in the trio format because they have a TON of low-end. Jol Danzig is building me a wonderful guitar with some wood I’ve had saved for probably 10 or 12 years. It’s a single pickup double-cutaway guitar with a stop tailpiece. Jol is one of the best guitar builders out there, and (for the first time in a LONG time) I’m really excited to get it. I also have a Teisco E-110 that is a “go to” guitar. I paid $148 for it. At what point of your life did you decide that you wanted to be involved in the music industry, as a musician and working with guitars? When I saw the Beatles on Ed Sullivan I knew I wanted to do that. Later on, as reality seeped in, I realized I needed a “day job” to actually pay the bills, so I worked all these horrible jobs until Ed Vanhalen told me about Charvel Mfg. He had a guitar that he had got from them, and I told him I wanted to get one too, so he gave me the number. I went up there, ordered a guitar, and would pay them money as it went along. At some point, I asked to work there… so I could get the guitar faster (and hopefully cheaper), and Grover Jackson hired me when I was 17. Growing up, who were your biggest musical influences? Hendrix, Scotty Moore, Ritchie Blackmore, for the playing, then it was songwriters like Johnny Cash, the Beatles, and many others. I had a unique childhood musically though. There was a family that lived across the street from us, and they were older and into jazz & blues mostly. They took me to go see Lightin’ Hopkins when I was like 15 I think. They took me to Frank Zappa as well. I was just a kid, and they’re like, “Hey man, you gotta listen to this John Coltrane record” and really soaked me in some very cool stuff. What’s an invaluable piece of advice you learned from the industry that you can share with all of us? Don’t be greedy. Help other people trying to figure it out. Strive for quality, not quantity. Try to say something nobody else is saying. Be true to who you are… that sounds cliché, but it’s so true. People don’t want YOU to mimic something, they want to hear what YOU are saying. 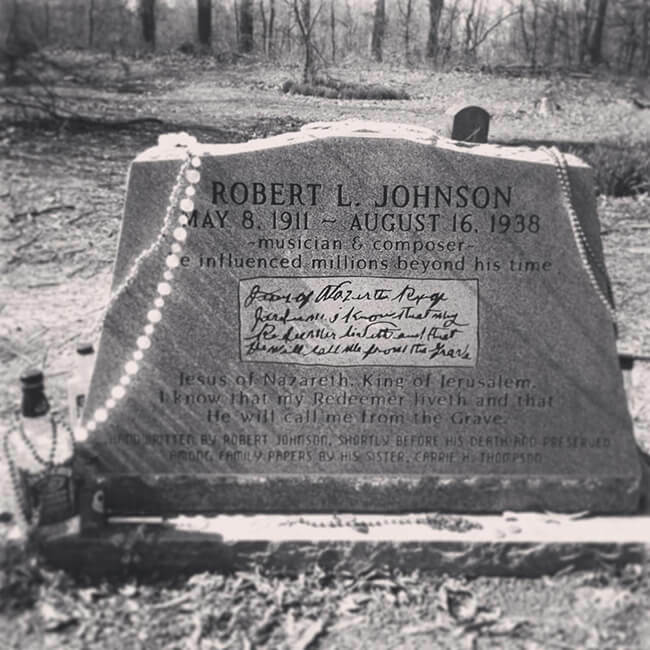 The grave marker of Robert L. Johnson at Little Zion Missionary Baptist Church. 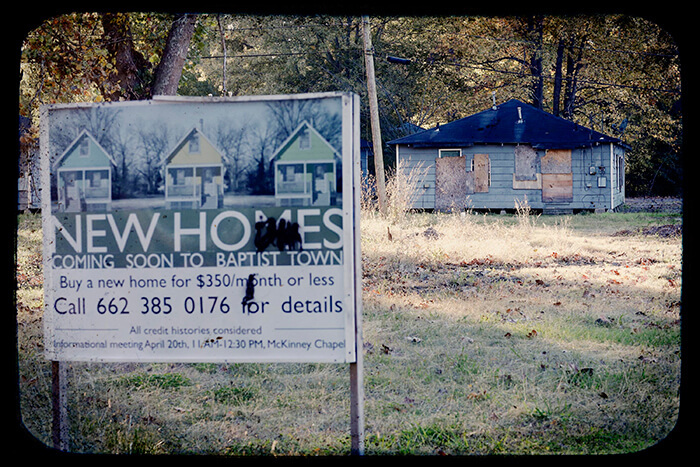 Your album “Baptist Town” is named after the neighborhood where Robert Johnson was allegedly murdered. There’s a lot more to the album, could you tell us what inspired you to write it? It STILL haunts me. I went down to the South with my daughter for a “Soul-Cleanse” as we call them. It’s when you just take off and really don’t have a set plan, and just explore. She wanted to see the South, and we went all through Tennessee, Georgia, and Mississippi. I wanted to take her to where Robert Johnson lived and died, so we ended up in Baptist Town which is a small slave neighborhood just outside Greenwood. I think it was the dichotomy of the have-and-have-nots, and the general sense of hopelessness down there that really got into my bones. It’s a beautiful part of our history, and extremely tragic as well. It was hard to translate it into one record, so the new one will have similar themes. 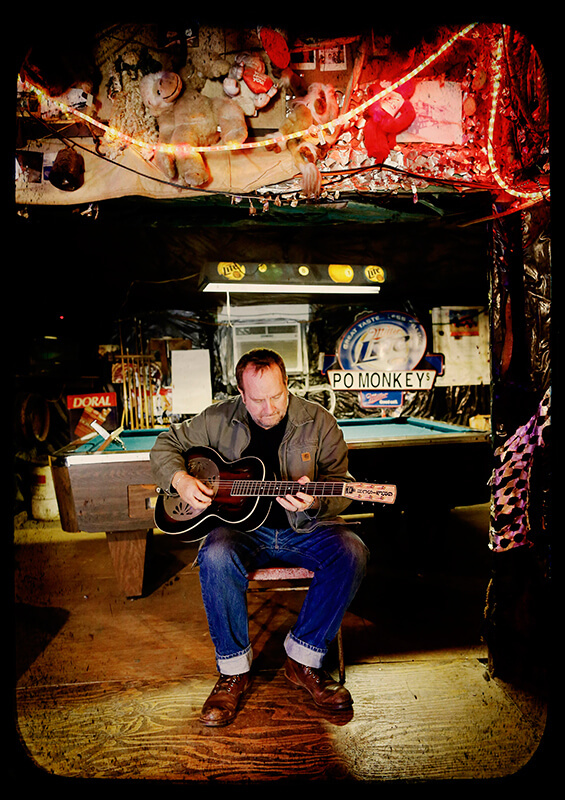 What is it about the blues, folk, roots music that makes it special to you? I am a huge fan of Alan Lomax. I am so thankful for what he did in recording the soundtrack of American music. Line singing, shape singing, preachers, sermons, blues singers, etc. He captured so much of what would’ve been lost to time. There is a peace and soulfulness to that music and it is the building blocks of everything else. The legendary Sun Studio in Memphis, Tennessee. 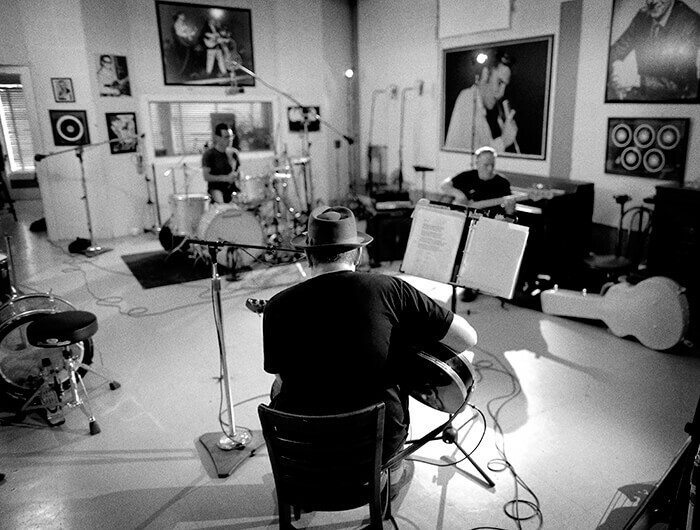 The album was recorded in the legendary Sun Studio, are there any memories from studio sessions that you can share with us? That place is amazing. It sounds so good in that room, and you can walk around in it and talk, and your voice changes to where it sounds like you’re talking face-to-face with somebody, but they’re across the room. Crazy. Today, you can’t start working there until after the tours around 6pm so we were going till 5am to get as much work done. 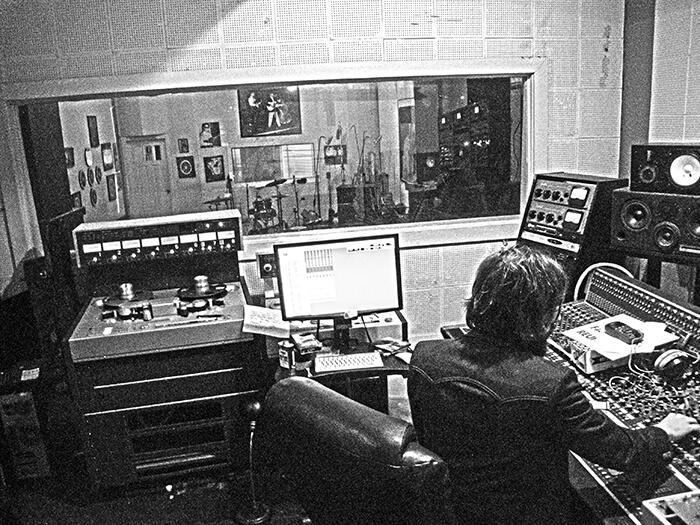 We also had the privilege of working with Matt Ross-Spang in there as well… BEFORE he won his two Grammys! Matt is amazing and real embodies Sam Phillips I think. He dives into a song along with you and the band and really helps bring that vision to completion as it was intended. 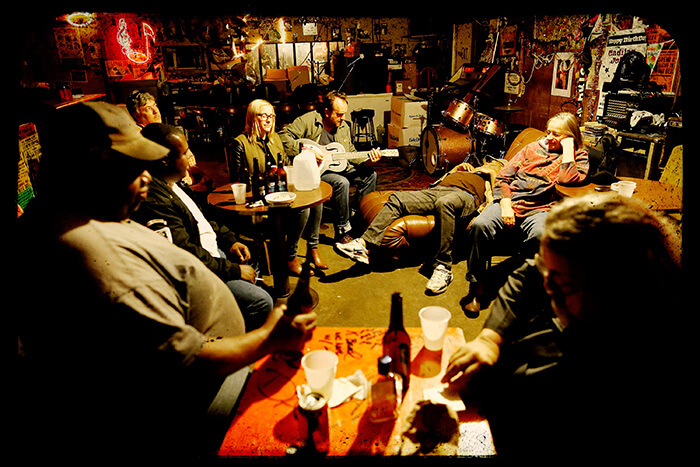 I remember tracking something on the record, and looking down at that tile floor, and thinking to myself, “Damn… Howlin’ Wolf recorded here”… and I just stopped playing for a second. So grateful I have been able to do that. 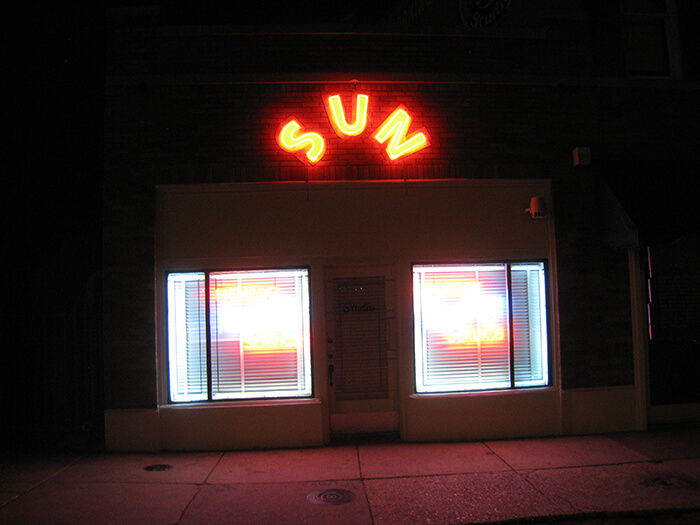 Sun Studio saw the likes of Elvis Presley, Johnny Cash, B.B. King and more record there. If you could for one day, go on a road trip with anyone, living or dead, who would it be and where would you go, and why? It would be with Jimi Hendrix or Robert Johnson. Either or both. I would want them (especially Robert) to see how deep and far and wide their influence had. Somebody like Robert… the people I know in Baptist Town are in that exact situation… to see that their (what seems like) futile, tiny contribution can send enormous ripples long after they are gone… THAT is what we all miss I think. Never underestimate what you are doing. Jimi Hendrix’s white Stratocaster. I took it apart and made four clones of it. It’s never anything special about the guitar really. Just knowing the body of work created on the instrument. It’s a tool like a carpenter’s hammer, but man, what that PERSON did with that tool. That was always the cool part about seeing those guitars, but Hendrix’s guitar… I sat in my hotel room and watched that video over, and over that night. 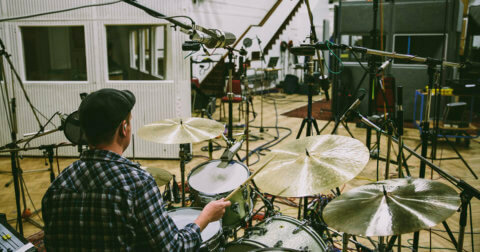 What MONO gear do you use at home, in the studio or on tour? I have four MONO pedalboards, three Tick bags, a Classic Club Accessory bag, and a Flyby backpack. What is it about your MONO product that you like and why? Quality. Anytime I can find a company that makes something that is real, I’ll use it. My Flyby backpack is ALWAYS with me when I travel. The pedal boards are next level for any musician. I have four because I do a lot of different music. I need different setups for different applications, and the MONO boards are the perfect system for any musician to make that happen. It makes my world so much easier to deal with. So, what’s next for Mike Eldred for the rest of the year? I’m finishing up the next Trio record and will (hopefully) get that recorded before year-end, I have two soundtrack jobs I’m working on, a U.K. tour with Robert Cray in October, I also have a company called, “Papa Legba Hoodoo BBQ & Soul Supply” that I make my own BBQ rubs, coffee, beef jerky, aprons, and many other things, and we are working on releasing our own rum soon! Busy! 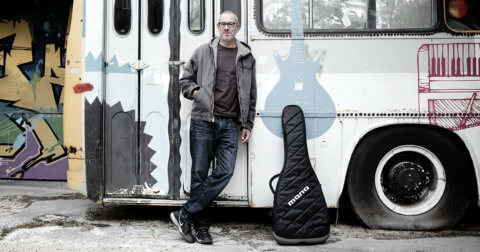 To check out Mike’s pedalboards, click here.